Have you hugged a goat today? 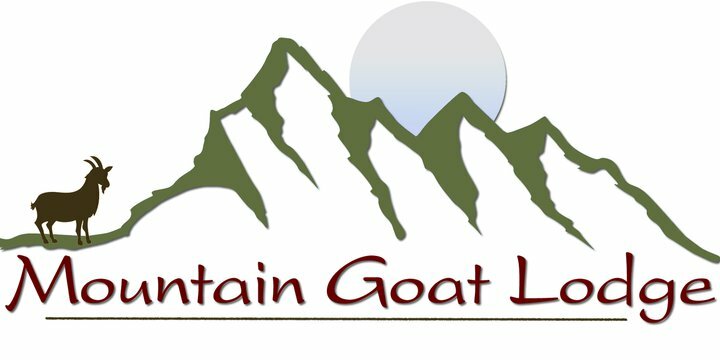 The Mountain Goat Lodge is set within 20 acres of rolling pastures at the foot of the famous Sawatch Mountain Range. Our resident goats roam the meadows, providing us with the milk, cheese, and yogurt for our tasty homecooked breakfasts and our cheese-making classes. We are located in central Colorado in pristine wilderness, yet just 6 miles from the historic town of Salida. Each of our snug rooms has its own private balcony with breathtaking mountain views. Such a great place! Will definitely stay here again. Gina was a fantastic host, taking time out to give me a tour and always willing to talk for a bit. The lodge was beautiful, the coffee was delicious and the breakfast looked fantastic. The vibe was very friendly, welcoming and relaxed. There were several dogs around (owner and guest) which contributed to the comfortable feeling. And goats!!!!! My partner found Mt Goat Lodge when she searched for "dog friendly B&B." It was well rated and near Salida, so it seemed perfect. When we showed up, it was even better. The communication before check-in was thorough and got us excited about our stay. The innkeepers were friendly, welcoming, and funny. They also responded quickly when our electronic door lock broke. The B&B was lovely. Hosts were delightful (especially Mateo the 4 month old goat whose personality is MUCH bigger than he is). Food was great! Loved having fresh eggs and goat cheese, yogurt and milk straight from the working farm. Clean, pleasant. I will definitely return! All of the goats and other animals on the property are clearly so well-loved and cared for. The goats are adorable and love people. The resident dog is a sweetheart, too. Finally, our room was very nice clean and the bed was incredibly comfortable. I’ll bet there isn’t a single room without a gorgeous view of the mountains. Gina prepared a delicious breakfast for us, and as their saying goes, "When in Rome," we enjoyed a yogurt parfait and latte made from their own goats' milk along with fresh eggs laid by their hens. We loved sitting down to talk with Gina, meeting other guests who also enjoy this home-away-from-home, and meeting their ADORABLE goats! We highly recommend this location and look forward to visiting again! Casual lodging meets modern conveniences at The Mountain Goat Lodge. Each room has free WiFi, HDTV, a mini-fridge, private bathroom and fluffy bathrobes, a rustic king-size bed with luxury linens, and a private balcony with spectacular views of the surrounding mountains. Two-room Suites are available. During the summer months, book our Vintage two-bedroom trailerhome, Retro campers or tipis for something unique. We also have a commercial hot tub for you to use 24 hours a day - it's the perfect place to soak your post-hike aching muscles! Food-wise, we serve a hearty country breakfast every morning, with the highlights being our farm-fresh eggs, fresh goat milk, goat-milk yogurt, and goat cheeses. Professional espressos are made to order; coffee, tea, and cocoa are available all day. The Lodge is pet-friendly so feel free to bring along your four-legged friends! We have plenty of our own animals, including goats, chickens & ducks, a dog, and a llama. Our goats are the stars of the show here! Take a tour of the farm for a goat meet 'n' greet - you'll get to know them all and their wonderful personalities. Tours are free for paying guests. Book a Tour. And if you'd like to get up close and personal with our goats, we offer goat husbandry classes and (seasonal) goat yoga! Also available are classes in chicken-keeping and cheese-making. For the more adventurous, the historic downtown district of Salida is just 6 miles away. It's a tourist hotspot, with outdoorsy activities, sightseeing, shopping, and fine dining all on offer. Try your hand at hiking, climbing, ATV riding, whitewater rafting, and fishing to satisfy your inner thrill-seeker, or simply stroll the streets to absorb the area's rich history.